Where did you stay? We were in Phuket, Bangkok, Chiang Mai and Chiang Rai. What did you do while you were there? Ate a lot. We also went to the beach, drove on the wrong side of the road, and hung out with a lot of wildlife, including lions, elephants and tigers. What was your favorite part of the trip? I really liked the food and the beaches. What was most surprising to you about the trip? How low the prices were! You must get off the beaten path — that’s where we had the most fun. 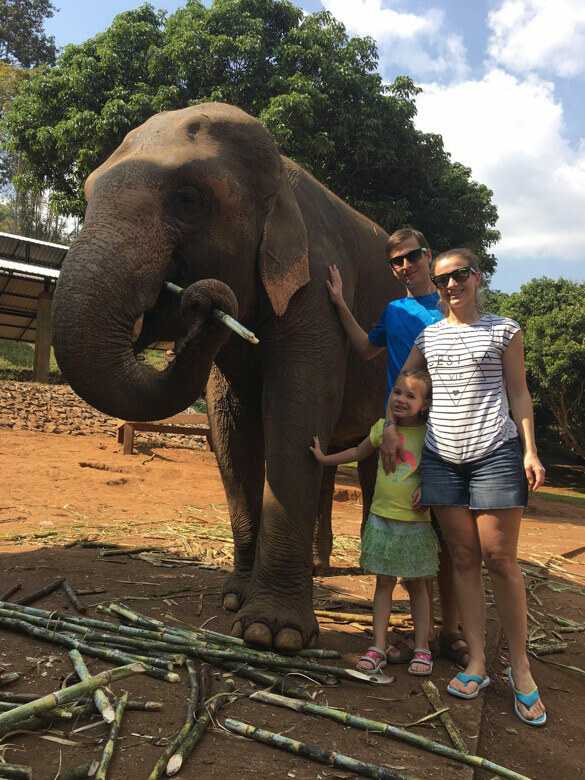 Visit an elephant sanctuary. Find a secluded beach. 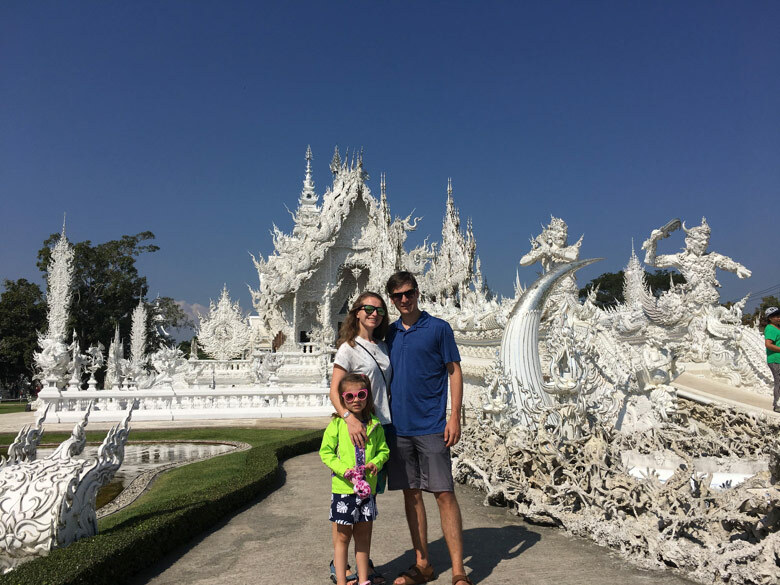 See the famous white temple, Wat Rong Khun, in Chiang Rai.